Eco-dive center: How to recognize them? 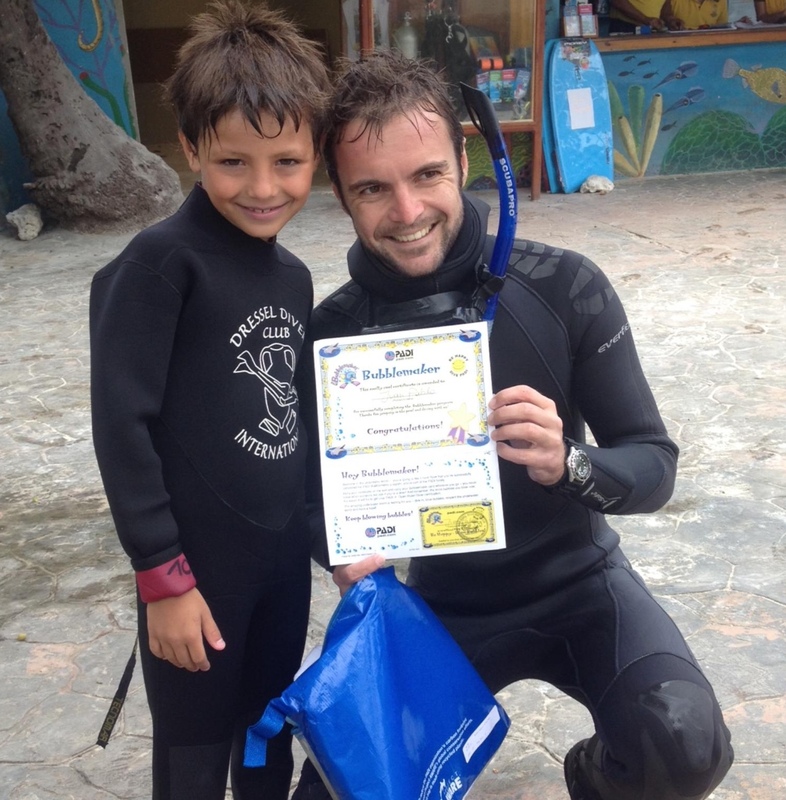 Marcello Aldera is an Italian PADI Dive Instructor who has been working at Dressel Divers since 6 years ago. In spite of the fact he started diving when he was already 24 years old, he is good proof that -with effort- you always can make a living of your passion. 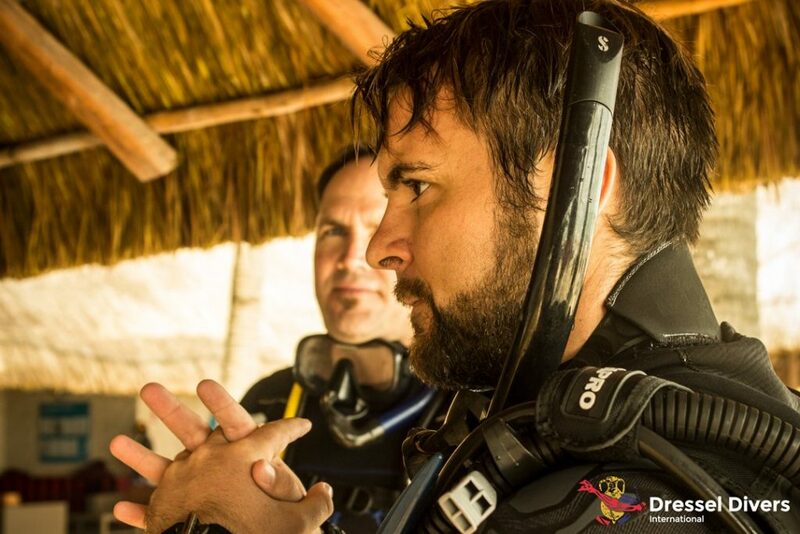 He started as Divemaster in Bavaro, and he has progressively developed his career until recently becoming the Base Leader at Dressel Divers Playa Del Carmen. Today we went to Riviera Maya to meet this nice guy and know more about his life in diving and all the amazing experiences he has lived worldwide. • At what age did you start diving? Unfortunately, I feel like I started too late. I was already 24 years old. I wish I had started earlier, like some of my students, and I would have been able to enjoy many more years of diving. 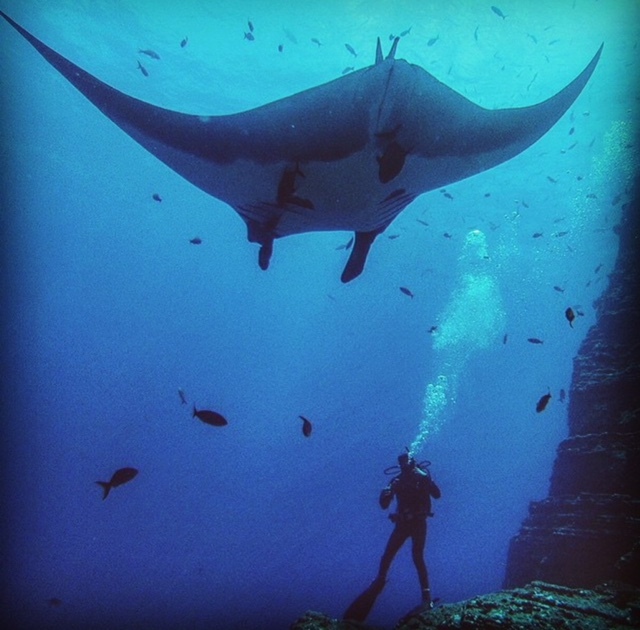 • What is the most incredible dive you ever did? There are 3 dives that I will always remember, the first was at Monica’s wreck in Punta Cana, where I had the luck to see a pod of dolphins playing around for 10 minutes. The second one was also in Punta Cana, where I did an amazing 40 minutes dive with a family of manatees. The last one was in Socorro Island where I saw a whale shark, pacific manta rays, dolphins and different types of sharks, all at the same time. • At what point did you realize you wanted to be a Dive Instructor? After one year in Poland, where I was not able to dive, I realized how much I miss it, and decided to make a job out of my passion. 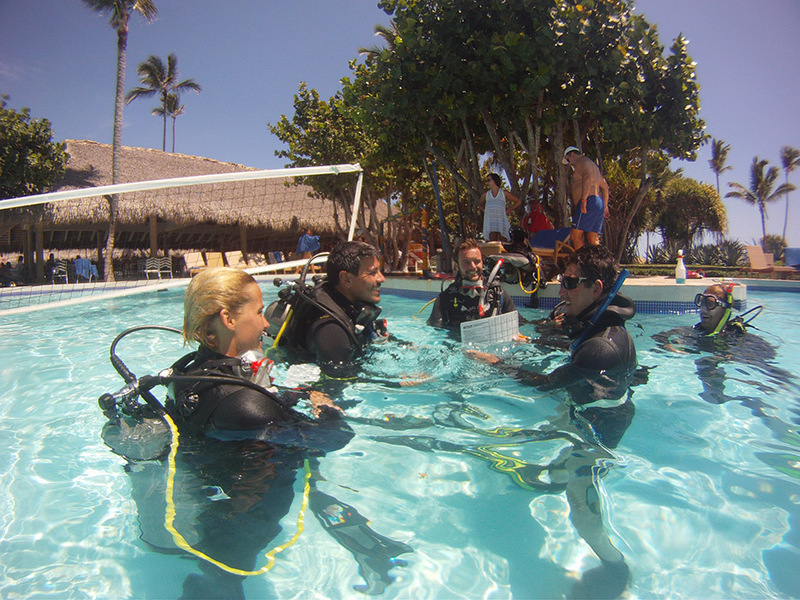 • What qualities do you think a Dive Instructor needs to be successful? The first quality should be to really love scuba diving. Being a Dive Instructor is an amazing job, but it is also demanding, physically and mentally. • What is the best advice you ever gave to your students? Probably the best advice is “Keep diving”. • What is your most memorable moment with students? The best moment was with a father and a son. Before the dive, the father was really worried for the kid but, once we reached the bottom and the son was enthusiastic and swimming around like a fish, the father finally relaxed and it was an amazing dive for all of us. • Why would you recommend Dressel Divers to new students? Dressel Divers has really high standards of safety and training. The internship program allows new divers and Divemasters to learn the Dressel Divers way of working and at the same time ensures that the high level of quality of the company is maintained. • Were and with whom did you do your instructor course? I did my IDC and IDC Staff Course with Dressel Divers in the Dominican Republic with Course Director Cristian Maffione. • How long have you been in Dressel Divers? This is my 6th year in Dressel Divers. I arrived in the company as Divemaster at Dressel Divers Bavaro, there I did my IDC and shortly after I had the chance to become Dive Boss. A year later I got promoted to Base Leader still in the same dive center I arrived earlier as an intern. One year ago I’ve been transferred to Dressel Divers in Mexico, first as Dive Boss at Dressel Divers Puerto Aventuras, then at Dressel Divers Paraiso, and recently as Base Leader at Dressel Divers Playa del Carmen. • What features and opportunities made you chose to work with this company in particular? Definitely the professionalism and the chance to grow in the company. 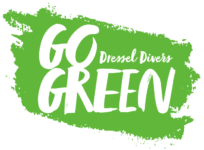 • Which Dressel Divers dive center would you like to go next if the opportunity arises? Since I already worked in all the bases of the Dominican Republic and in the Riviera Maya, it would be interesting to see Dressel Divers Jamaica and the headquarters in Valencia. I chose to work at Dressel Divers because their professionalism and the chance to grow in the company. • What is the best advice you would give to someone who wants to make a living from scuba diving? To make a living from diving you must be passionate about diving, and try to expand your diving knowledge. Look always for the long term possibilities and don’t focus on the immediate benefit. •What are your other hobbies? What do you do on your day off here in Playa del Carmen? I mostly try to relax, that means some days I just hang at home watching Netflix, others I visit new places and of course diving.